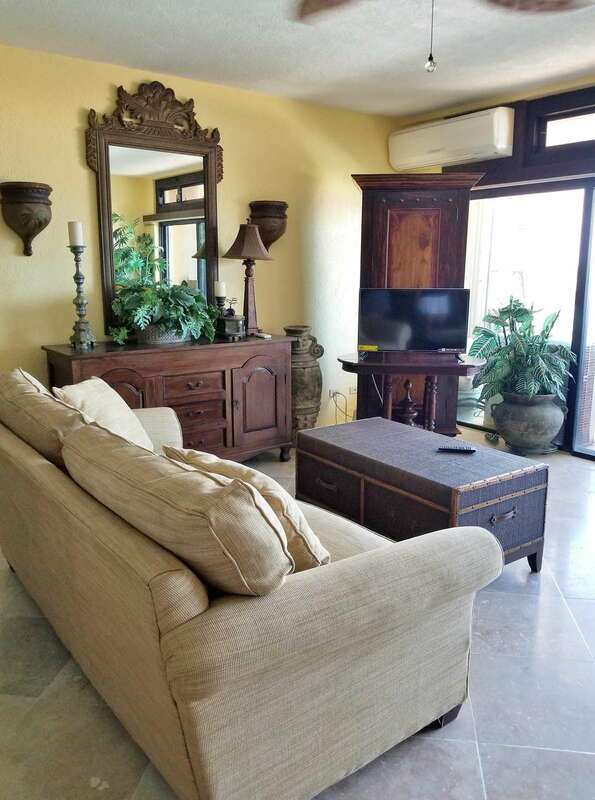 Welcome to Edenview- a spacious and luxurious Caribbean villa with views that will make you think you’re in PARADISE! 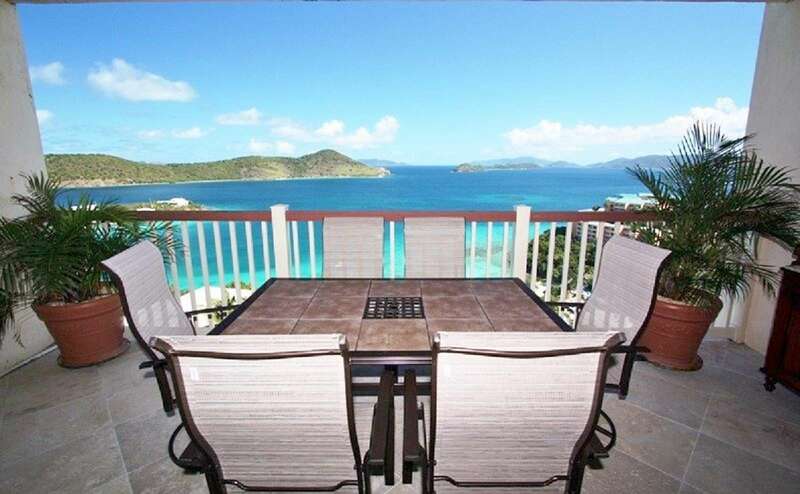 Stunning views of St. John and the British Virgin Islands of Tortola and Jost Van Dyke can be seen right from the living room or balcony. Enjoy relaxing at our villa or at any of the three pools and enjoy the views. 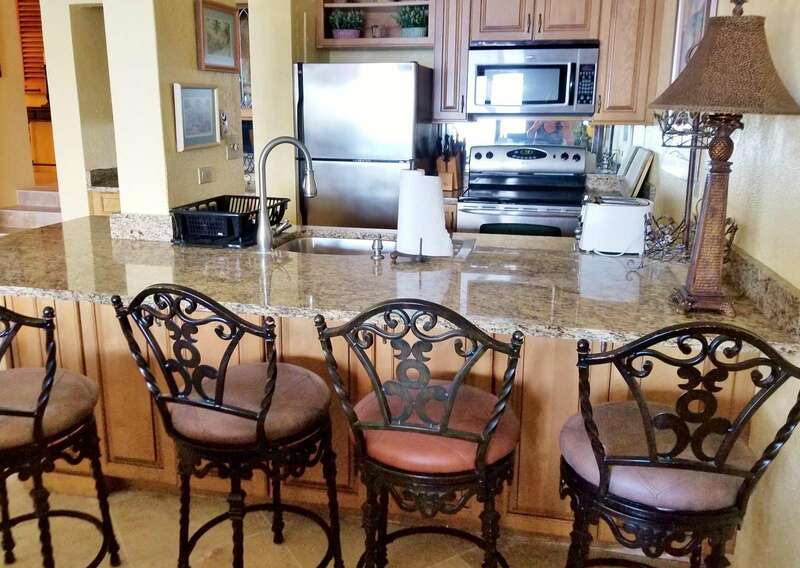 This is the first time Edenview has been available for vacation rental in over 5 years. 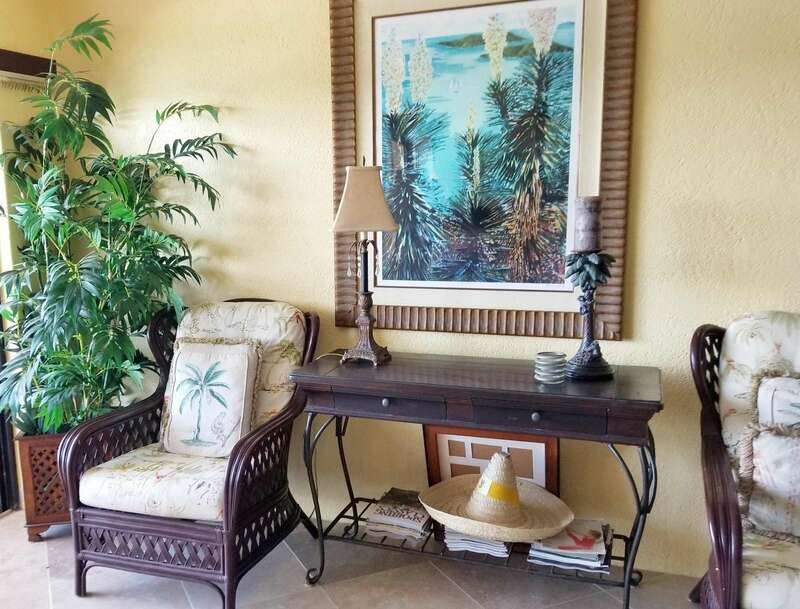 This beautiful 2-bedroom, 2-bath condo is one of the best decorated condos at the resort. The entire condo has been updated- granite kitchen and bathrooms, tiled floors, poster beds- all the upgrades are available at Edenview. Why cram into a hotel room or 1-bedroom unit when this unit is available. 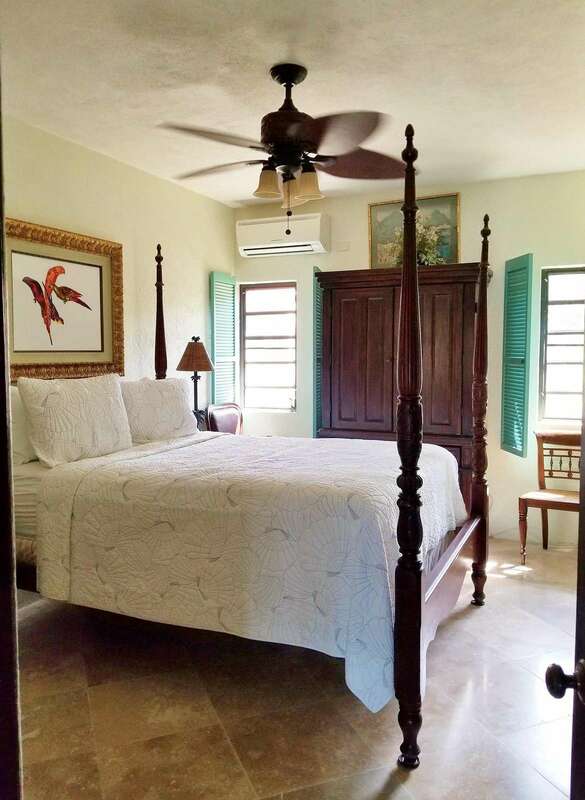 Edenview has high quality furniture and an old colonial style that is perfect for an island getaway. The ocean breeze is simply delightful from our balcony. This resort has three nicely landscaped pools and sun decks, a private beach (Sugar Beach- small, but private), and a nature trail. Point Pleasant does require walking up and down the hills, so be prepared. 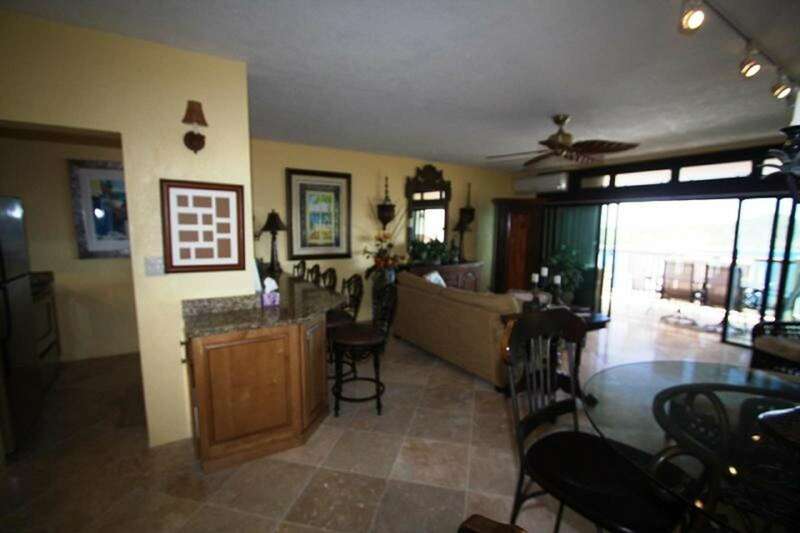 The views and landscaping are great and walking around the resort is a great way to exercise. 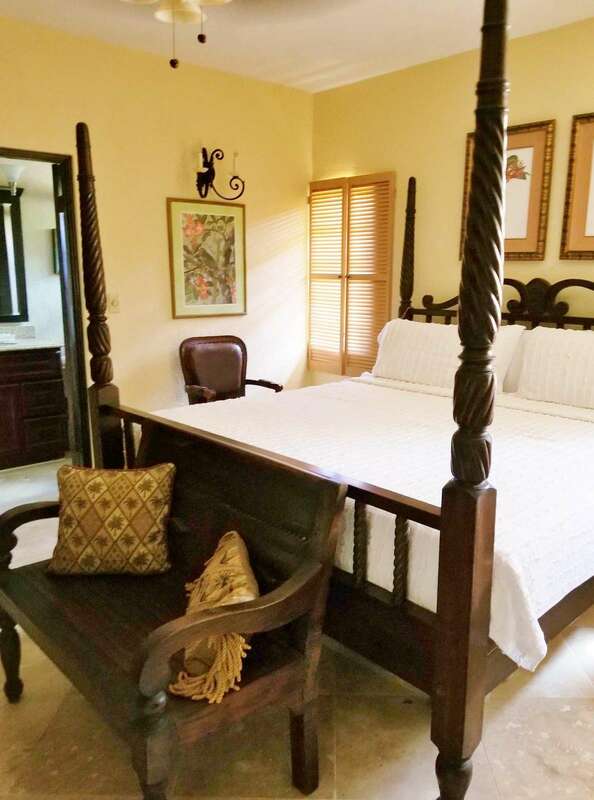 The resort is located on the east end of St. Thomas just five minutes from Red Hook, where you can take ferries to neighboring islands of St. John and the British Virgin Islands of Tortola, Virgin Gorda, and Jost Van Dyke (Passport required for BVI). Red Hook also offers the best nightlife and restaurants on the island. From our balcony, you can see Coral World, Coki Beach, and Dolphin Discovery, which is just one mile away by car, or you can walk down the hill thru Margaritaville to get there. 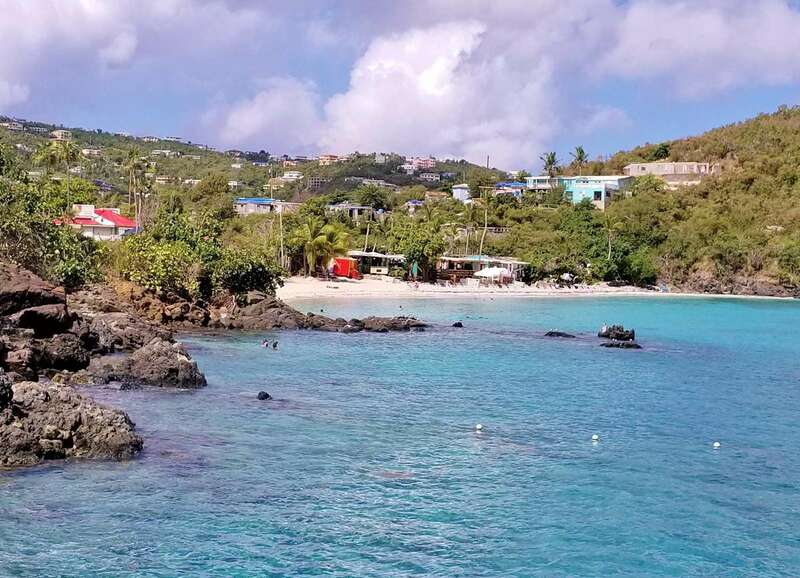 Coki Beach is the top snorkeling destination in St. Thomas with a great SCUBA Diving shop right on the beach. We even saw a dolphin while SCUBA diving in Aug 2018. 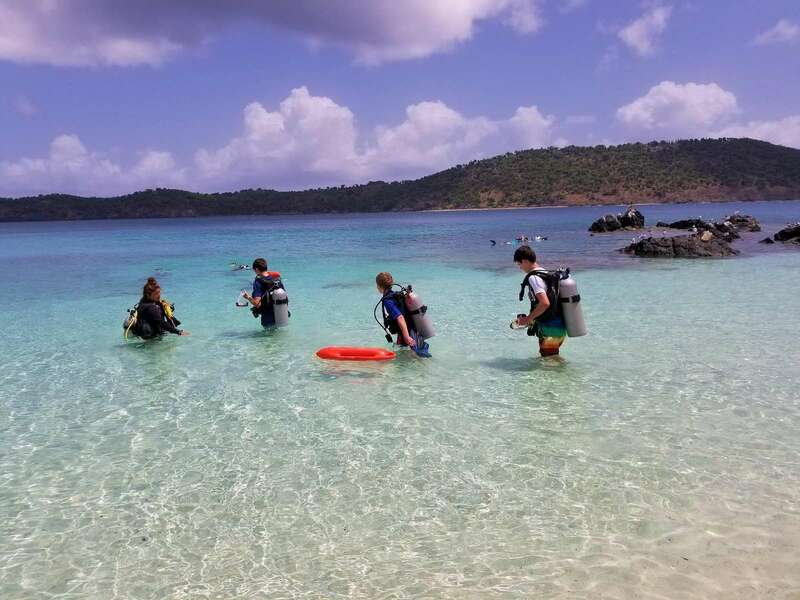 Get certified in SCUBA diving in 3-4 days at Coki Beach Dive Shop or just go on a resort course dive. They have both beach and boat dives available. Jet skis are also available here along with shops to buy snacks/drinks. One mile from the resort going towards Red Hook is the beautiful Lindquist Beach. 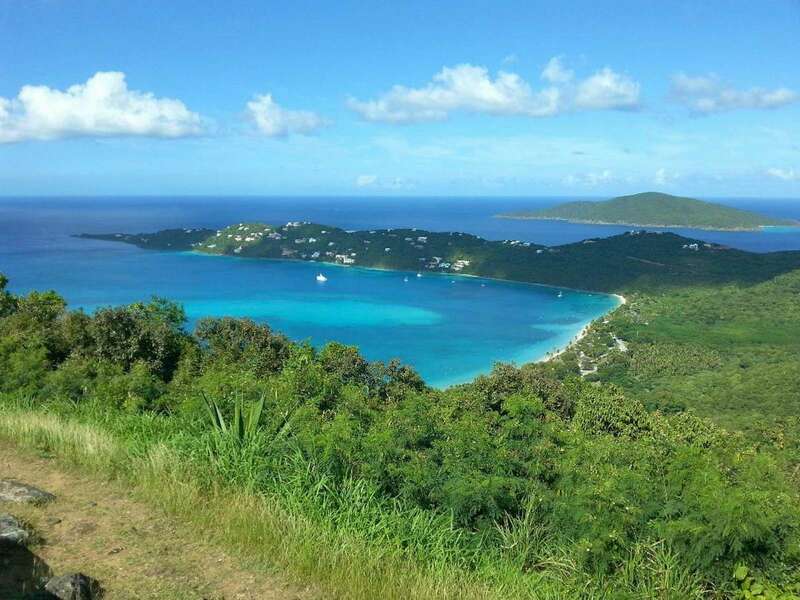 Another beach to visit on St. Thomas is Magens Bay, which is located just 5 miles away. Both Lindquist beach and Magens Bay have restrooms, changing facilities and snack bars. 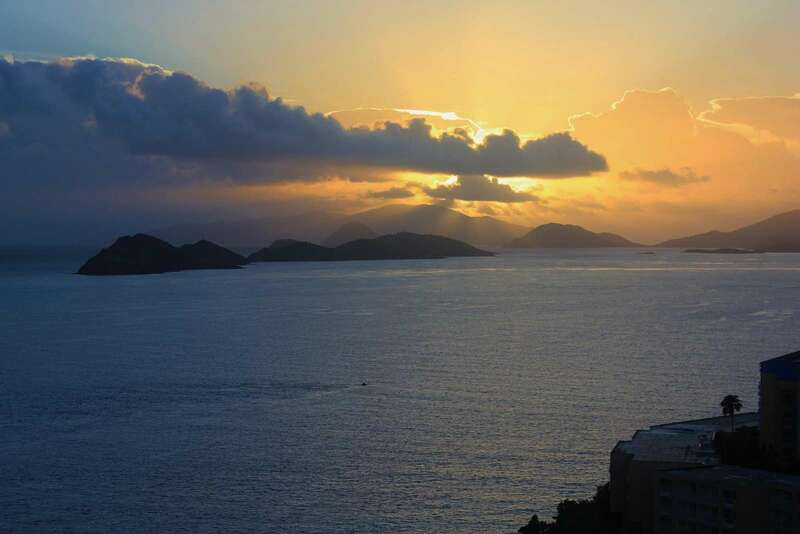 Traveling to St. Thomas is easy and doesn’t require a passport for US citizens. The Shoreline Bar & Grill is open for breakfast, lunch, and dinner and is located right on the Caribbean! 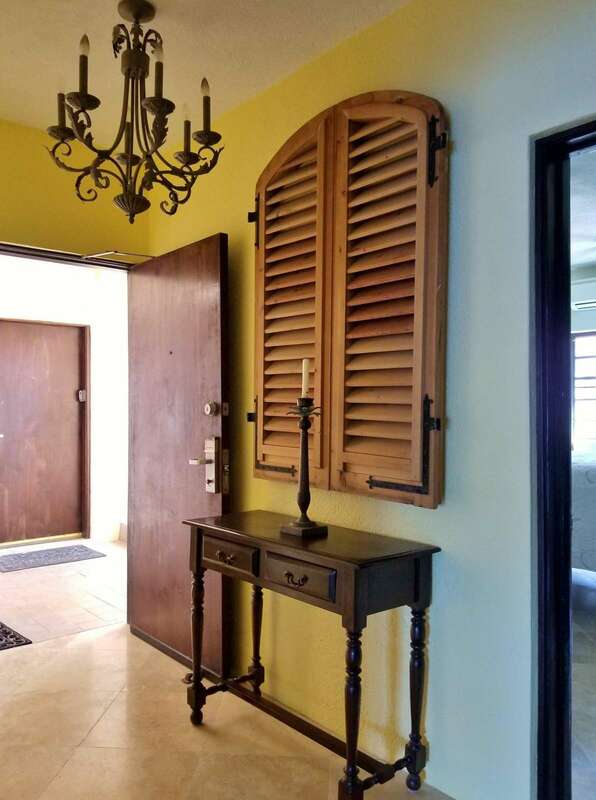 It has been freshly remodeled after the hurricane. The centrally located restaurant, Mirador, is open for dinner and Sunday brunch. This restaurant is a little more upscale and offers magnificent views of the other islands. If you’re more interested in cooking for yourself or family, our kitchen is well supplied. The best place to buy food is Kmart or Pricesmart (membership required). Edenview is located only 8 miles from the Cyril E. King Airport, . 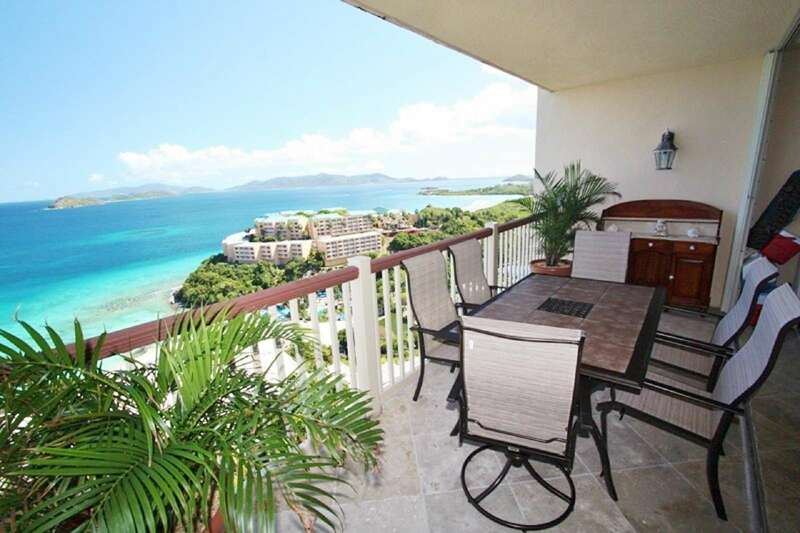 Charlotte Amalie, the “capitol of St. Thomas”, is between the airport and our location. Charlotte Amalie has one of the busiest duty-free ports in the Caribbean. We hope you love Edenview as much as we do! This property has 1 King(s), 1 King(s), 1 Pull Out Sofa(s).